I enjoy food – any kind of food for any kind of holiday. So this year, when Hanukah happened to ‘fall on’ thanks giving…JACK POT!! So of course, people are talking about celebrating Thanksgivukkah…le sigh! I’m no expert honestly on traditional Hanukah food but here are a few of my favorites. No matter what holiday table you are around, I hope the table and your home is filled with laughter, warmth and lots of love. In a medium sauce pot, combine cranberries, spices, sugar, and Manischewitz. Bring mixture to a boil, then reduce heat and simmer 20 minutes. Peel and core apples, then cut them into large chunks (approximately ½-inch cubes), and add to the cranberry mixture. Cover sauce and continue to simmer for 20 minutes, stirring occasionally. If sauce begins to stick, add water. Remove from heat and cool to room temperature before serving. *To dice means to chop into roughly ¼-inch cubes. Line a colander with a smooth kitchen towel or cheesecloth. In a large mixing bowl, combine half of the diced onion (1 ¼ cups), egg, flour, salt, and baking powder, and mix with a rubber spatula just to combine. Peel potatoes and cut into 1-inch cubes, working quickly so that the potatoes don’t brown. Using the grater attachment of a food processor, grate potatoes and remaining 1 ¼ cup diced onion. Pour the potato-onion mixture out into the towel or cheesecloth set over the colander, wrap the towel around the mixture, and wring out as much liquid as possible. The potatoes should release at least 1 cup of liquid. Discard liquid. Add dry potato mixture to the egg/flour mixture, making sure to scrape all potato starch off of the towel and into the mixing bowl. Stir until batter is combined and sticky. Preheat oven to 425°F. Set a wire racks inside a baking sheet and place it on the counter next to your stovetop. Heat ½ cup vegetable oil in a heavy-bottomed skillet over medium-high heat. Oil should be hot but not smoking, about 375°F. For each latke, take about ¼ cup of batter and flatten it in your palms to about a 2-inch disk. As you do this, squeeze out excess liquid, then place the disk into the oil with a heatproof spatula. Cook latkes about 4 minutes each side, until golden brown. Cook in batches of 4-5 latkes. Between batches, use a slotted spoon to strain any leftover bits of potato mixture out of the oil. Add more oil as needed, making sure to let the oil reheat before dropping the next potato mixture in. Transfer fried latkes to the baking rack, and place in the oven for about 8 minutes, until crispy and deep brown. 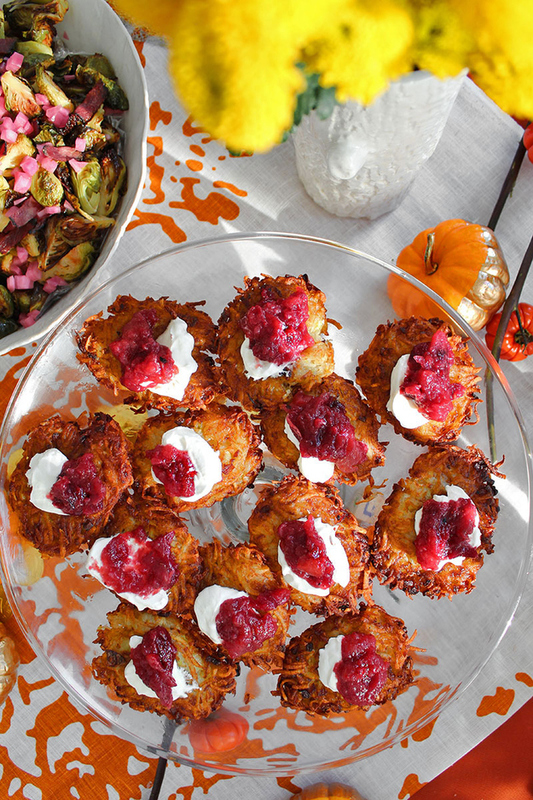 Garnish with sour cream and cranberry applesauce. 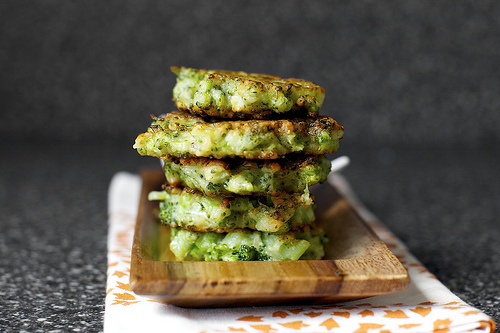 There’s a lot of broccoli and very little pancake in this fritter. To serve: I like these with a dollop of the garlicky lemon yogurt, roughly 1 cup plain yogurt, 2 tablespoons lemon juice, 1 tiny minced clove of garlic, a bit of zest and salt. They’re also good simply, with just a squeeze of lemon juice or a little crumbled feta on top. Prepare your broccoli: Separate the florets from the biggest stem(s). Cut the florets into 1-inch chunks. To prepare the stems, I like to peel them, as the skin can be thick and doesn’t cook quickly, then slice them into 1/2-inch lengths. You should have about 3 cups of chopped broccoli total. Steam your broccoli until tender but not mushy: Use whatever method you prefer. My quickie, lazy method is to bring a 1/2-inch or so of water to a boil in a small saucepan, then add the broccoli, place a lid on it and simmer it for 5 to 6 minutes. Drain the broccoli, then set it aside to cool slightly. In the bottom of a large bowl, lightly beat your egg. Add the flour, cheese, garlic, salt and pepper. Then, add the somewhat cooled broccoli and, using a potato masher, mash the broccoli just a bit. You’re looking to keep the bits recognizable, but small enough (1/4- to 1/2-inch chunks) that you can press a mound of the batter into a fritter in the pan. Once mashed a bit, stir or fold the ingredients together the rest of the way with a spoon. Adjust seasonings to taste. Heat a large, heavy skillet over moderate heat. Once hot, add a good slick of oil (I usually use a mix of olive and vegetable oil), about 2 to 3 tablespoons. Once the oil is hot (you can test it by flicking a droplet of water into it; it should hiss and sputter), scoop a two tablespoon-size mound of the batter and drop it into the pan, then flatten it slightly with your spoon or spatula. Repeat with additional batter, leaving a couple inches between each. Once brown underneath, about 2 to 3 minutes, flip each fritter and cook on the other side until equally golden, about another 1 to 2 minutes. Transfer briefly to paper towels to drain, then to a serving plate if you’ll be eating them shortly or a baking sheet in a 200 degree oven if you’d like to keep them warm for a while until needed. Repeat with remaining batter, adding more oil as needed. Serve with some of the suggestions listed in the head notes, above. 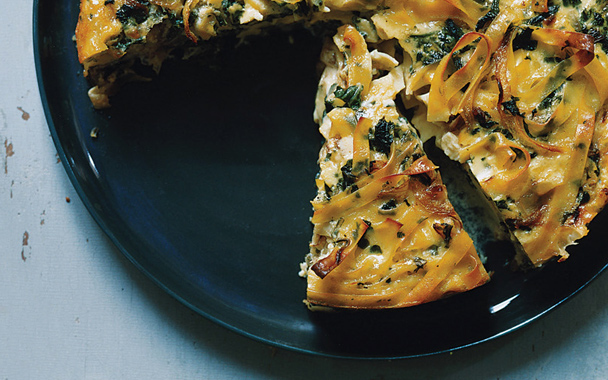 A savory take on noodle kugel, this beautiful dish is creamy on the inside with a golden-crisp crust. Using thin egg fettuccine rather than traditional short, wide egg noodles adds elegance. Put oven rack in middle position and preheat oven to 375°F. Grease pan with 2 teaspoons oil and wrap outside with foil. Cook chard in a 5- to 6-quart pot of boiling salted water, uncovered, until just tender, about 3 minutes. Transfer with a slotted spoon to a sieve set over a bowl. Reserve cooking water in pot. Press hard on chard to extract as much water as possible, then transfer to a cutting board and chop. Cook onion in 3 tablespoons oil in a 12-inch heavy skillet over moderate heat, stirring occasionally, until softened and golden brown, about 15 minutes. Add garlic and cook, stirring, 1 minute. Stir in chard, 1/2 teaspoon salt, and 1/4 teaspoon pepper and remove from heat. Cool chard mixture to warm. While chard cools, return cooking water to a boil and cook fettuccine, uncovered, until al dente. Drain pasta in a colander, then transfer to a large bowl and toss with remaining teaspoon oil. Blend together eggs, milk, mascarpone, and remaining 3/4 teaspoon salt and 1/4 teaspoon pepper in a blender until smooth. Stir chard and Fontina into pasta mixture, then stir in egg mixture. Pour into greased springform pan set in a large shallow baking pan (to catch any drips). Pat down chard to make surface even if necessary. Bake until just set and top is golden brown, 50 minutes to 1 hour. Cool in springform pan on a rack 10 minutes, then run a small sharp knife around inside edge of pan to loosen torte. Remove side of pan and serve torte hot or warm. 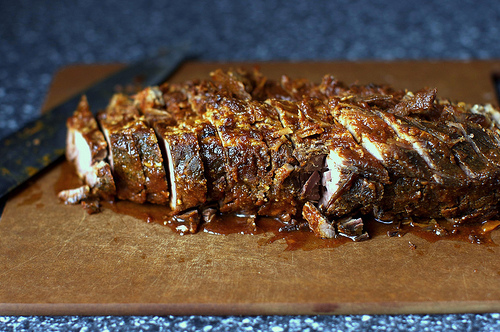 This brisket is wonderful — not just the buckets of flavorful sauce (no dry brisket here!) but the slow-cooker to fridge to oven technique (adapted from my mother-in-law), which produces flawless brisket every single time. Prepare the sauce: Heat a large skillet over medium high heat and sauté onions in vegetable oil, stirring occasionally, until caramelized and most of liquid has evaporated, about 15 minutes. Add halved garlic cloves and saute for 3 minutes more. Stir in spices and seasoning (paprika, salt, garlic and onion powders, black pepper, cayenne, oregano and thyme) and cook for 2 minutes. Set aside. In a large bowl, stir together the beef stock, ketchup, chili sauce and brown sugar. Don’t worry if your brown sugar is lumpy (mine always is), the acidity of the ingredients will quickly break it down. If baking in oven: Preheat oven to 350 degrees. Place brisket in a baking dish or casserole, spread onion mixture over the top, then pour sauce mixture over the entire dish. Cover tightly with foil bake until very tender but not falling apart, about 3 to 4 hours. If you’re using a slow cooker, transfer the brisket and all of its sauce to a baking dish. If you’ve baked it in the oven, you can continue in that same dish. An hour before you’re ready to serve it: Preheat your oven to 300°F, and remove the dish from the fridge. Remove all of the fat that has solidified with a slotted spoon for a less oily finish. Carefully remove the meat from its sauce and place on a large cutting board. Cut the brisket into 1/2-inch slices. If you like a smoother sauce (I do) this is a good time to run it through a blender or literally just smash up the onion and garlic strands with a wooden spoon. They’ll be so soft, that’s all it takes. Carefully place the sliced meat (moving it in large sections with a spatula helps keep it together) back into the sauce and spoon the sauce over the meat. Replace the lid or cover the dish tightly with foil and reheat in the oven until it is bubbling at the edges — this usually takes up to to 30 minutes. 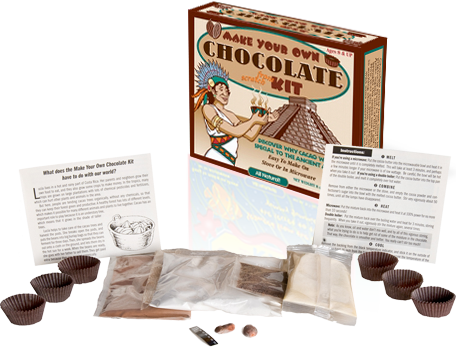 If you are very strictly kosher for Passover — generally, at an Orthodox level — you’ll want to find versions without corn syrup in them. Ok…these are a few of my favorites and I hope they find a way into your home as well. Happy Holiday and all the best from me to you. WOW…seems like a long time since I’ve written a post for Wine Wednesday (SORRY!!) but with Thanksgiving tomorrow, some of you may wonder how to jazz up your holiday table. Personally, I can’t wait to bite into this. I’m sure it will become one of your new favorites too. The spice of the Andouille sausage compliments the slight sweet and tart flavors from the apples and cranberries. Oh yea…it’s GLUTEN-FREE. Place corn bread cubes on a baking sheet and leave out over night to dry. Or, toast the cubes in a 350 F degree oven for 10 minutes. Preheat oven to 375 F degrees. Butter a 9X13-inch baking dish. Melt 4 tablespoons of the butter in a large (12-inch) skillet over medium heat. Add the onions, celery and apples and sauté until softened, about 7-9 minutes. Add the sausage, crumbling it into small bits, and sauté, stirring frequently, for 10 minutes, until cooked and browned. Add the cider, cranberries, rosemary, and sage and cook until the cranberries soften, about 5 minutes. Scrape up the brown bits with a wooden spoon. Place mixture in a large bowl and add the corn bread, egg, 1 teaspoon salt, ½ teaspoon pepper, and enough chicken stock just to moisten the mixture. Stir well. Pour stuffing into prepared dish. Dot with remaining 2 tablespoons butter. Bake until stuffing is heated through and top is golden, 35 to 45 minutes. Preheat an oven to 425 F degrees. Heat a 10-inch seasoned cast-iron skillet in the oven for 10 minutes, until it’s very hot. Combine the cornmeal, baking soda and salt in a small bowl. Whisk together the eggs, yogurt and maple syrup in a large bowl. Remove the hot skillet from the oven and add the butter, swirling it until it’s melted (it’s OK if it slightly browns). Working quickly, pour the hot, melted butter into the egg and yogurt mixture, and whisk until combined. Add the dry ingredients and whisk until just combined. Pour the batter into the hot skillet and and bake until golden, about 20-25 minutes. Allow cornbread to slightly cool before cutting. Food glorious food..and don’t forget the wine. I don’t know a person who will turn it away and with these offerings, you’ll be the best gift-giver ever. Here are some great gift items for the foodie in your life. La Maison du Chocolate dark truffles are always a hit. If there is a cook in the house, Dean and Deluca, Eataly or Beechers have just about anything your favorite cook would love. One Hope Wine is a company with a heart. A portion of their profits go to charity. Look for some great Chardonnay and Merlot to add to your holiday cheer. Everyone should have a Corkcicle in his or her house. There is no need for an ice bucket to keep your wine cool. Just put it in your wine and in minutes it will be perfectly chilled. While in Mexico this summer, I tried Milagro Select Reserve Tequila and it simply changed my thoughts about a sipping Tequila What makes it even better is the bottle is simply stunning. Popcorn Holiday Crate has four flavors and while that should be reason enough to love it…it’s hulless so no picking it out of your teeth. Popped in extra-virgin olive oil it’s not only good to eat, it’s healthier than most. Whether the person you want to thank is your neighbor who throws a great party, or your postal worker who delivers the mail with a smile, there is no other way to share the ‘Joy of Thank You’ than with a box of Merci chocolates. Each box of Merci includes a delicious selection of rich, European chocolates made from the finest ingredients. This year I’m particularly thankful for good health, great friends and new beginnings in 2013. What are you thankful for?? Flavors range from Milk Chocolate, Cream Truffle and Hazelnut-Almond to Dark Cream and Praline-Crème and are truly scrupulous. Don’t you hate looking for the right knife for your cheese platter? This set of stainless-steel cheese knifes will take care of that problem in no time and it’s a great price at Target. One of my favorite companies that carries everything from cork screws to customized wine cabinets, Wine Enthusiast. This holiday season, they have over 1,000 gift ideas for your favorite lover of wine. I particularly love the Ravi Instant Chiller. This allows you to pour wine or vodka through a frozen chamber to give it a chill instantly. While I know that beer may not be a Thanksgiving staple at your house, there are some great pumpkin brews that I’ve seen in my local supermarket as of late. So I decided to see what they were all about. It seems George Washington, Ben Franklin, and Thomas Jefferson are all DIY brewers. They used barley and other ingredients used to make liquor including parsnips, molasses, squash, corn, and apples. Brewers hand-cut and roast pumpkins and leave them in the mash (a mixture of milled grain and hot water) as it ferments; use pumpkin purée, or even artificial pumpkin flavorings and add spices, such as nutmeg, ginger, clove, allspice, and cinnamon. The result is ale that tastes like pumpkin pie. So if you’re want to drink your pie, try Lakefront Pumpkin Lager, Four Peaks Pumpkin Porter, Brooklyn Brewery’s Post Road, Dogfish Head Craft Brewery’s Punkin Ale, Carolina Beer Company’s Cottonwood Pumpkin Spiced Ale, Shipyard’s Pumpkinhead Ale and Pugsley’s Signature Series Smashed Pumpkin. Ok so you’re saying “Lisa I’m not bringing a six-pack to our holiday table”, that’s fine. How do you pick a wine that will compliment your table? This is actually kind of tough simply because of so many things going on, on the table: veggies, mashed potatoes, stuffing, cornbread, salad and oh yea…the turkey. Actually, it’s all about the stuffing and if you’re Regis Philbin, he adds raisins to it so that adds a different dynamic altogether. So here are a few suggestions that may make your search a bit easier. If you are having traditional stuffing, you know white bread, celery, sage, sausage and onion, then you should have a wine that compliments the veggies which are the strongest food notes (bet you thought sausage right). A full-flavored Sauvignon Blanc like Robert Mondavi Fume Blanc 2007 would be the ticket. If you have a richer stuffing like one that is oyster base (of like my friend Kellie who is from Louisiana who loves Oyster Dressing), then you have a stuffing that deserves a warm and friendly Chardonnay like Chateau St. Jean Robert Young Vineyard. There is nothing like a good cornbread and andoullie stuffing which is a staple in most southern homes, this happens to be rich with so many spices, sausages and meats that you feel like you’re eating a meal with your turkey. 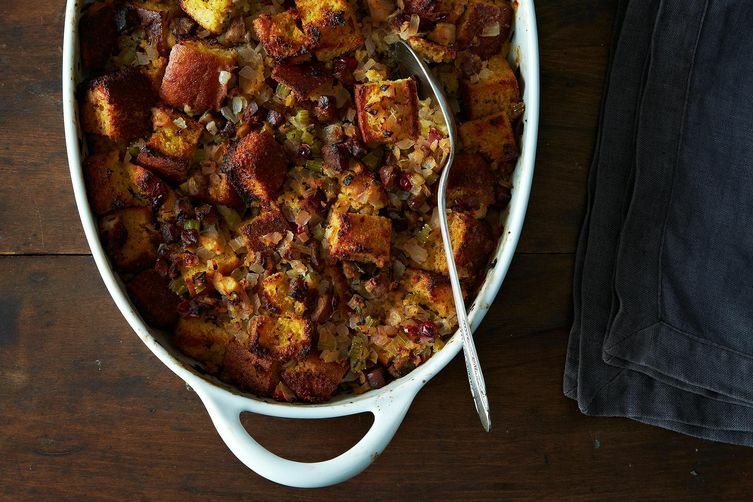 This is both a rich and sweet stuffing. With that in mind, you need a wine that has just a touch of sweetness, while not being overpowering. An off-dry Chenin Blanc like Domaine des Baumard Coteaux du Layon Carte d’Or 2007 is a great match. Or try a Pinot Gris like Kenwood Vineyards Pinot Gris 2008 which often have just a hint of sweetness to them. If Regis is coming to your house, because you have a fruit-based stuffing, then simply go for an off-dry Riesling. What is a fruit based stuffing? One filled with all fall fruits like cherries, apples, pears and of course raisins and craisins. Château Ste. Michelle & Dr. Loosen Eroica Riesling 2006 has some citrus and pear flavors so it will play off this type of stuffing well. A more traditional sausage-and-herb stuffing is best paired with a white wine, but why not pick a light-bodies Zinfandel? It will add just the right about of sweetness without hiding the beauty of herbs. Have you heard of Valley of Moon Zinfadel 2005? If not, then you should absolutely try this very affordable wine. So I hope this gives you some options for your holiday. Remember it’s not about what you bring to the table other than your company. So if you’re lucky to be able to spend it with your family have fun, watch a bit of football (or go out and play a game) and pass the pie.